Artificial intelligence and machine learning are key to the new finding. 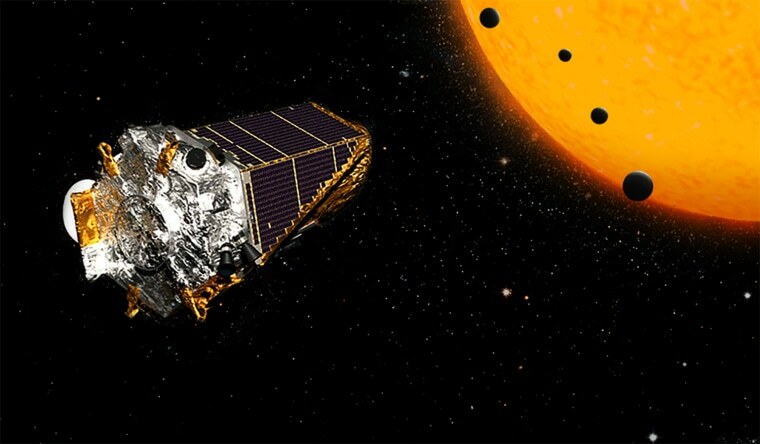 NASA is holding a press briefing today to announce a new discovery made by the Kepler Space Telescope, which has spent nearly a decade scouring the cosmos for alien planets. You can watch the announcement on NASA Live starting at 1 p.m. Eastern Time. The space agency has given few details about the discovery, saying only that it involved the use of artificial intelligence and machine learning from Google as part of a new way to evaluate observations made by Kepler. *Paul Hertz, astrophysics division director at NASA headquarters in Washington, D.C. Since its 2009 launch, the Kepler mission has identified more than 2,300 confirmed exoplanets — that is, planets orbiting stars other than the sun. This tally includes 30 exoplanets that are less than twice the size of Earth and which orbit within the so-called habitable zone, where conditions could support life as we know it.